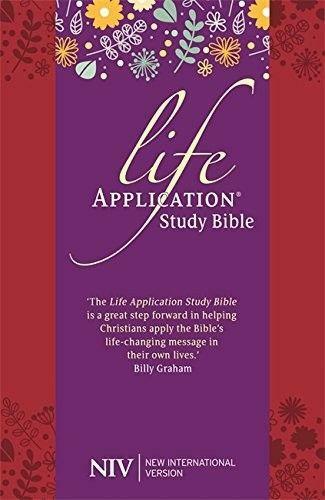 The bestselling Life Application Study Bible is unparalleled among study Bibles as an invaluable aid to daily devotional reading. 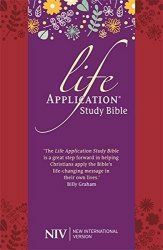 The rich combination of study features - including verse-by-verse notes, book introductions, personality profiles and a Bible dictionary - demystify the Scriptures, helping you apply the wisdom of God to everyday life. 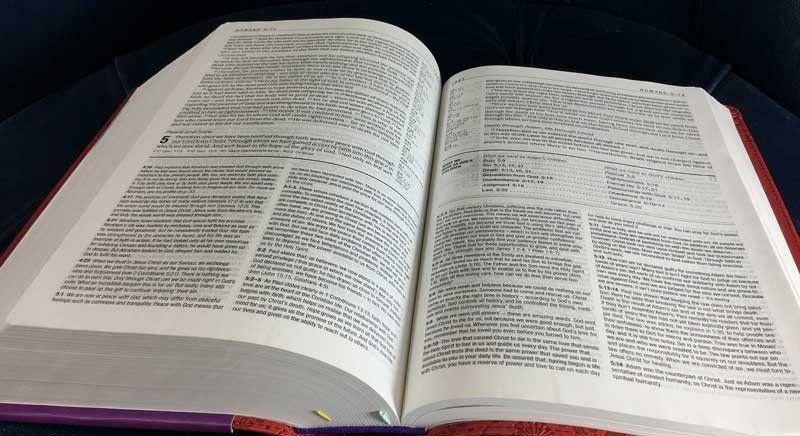 The NIV is the world's most popular Bible translation in modern English and is widely regarded as the perfect combination of accuracy and readability. As such, the union of the NIV with the Life Application Study Bible notes makes for an ideal partnership. Developed by Biblica, the NIV was translated by scholars from a broad range of denominations worldwide who continually review new research to ensure it remains at the forefront of accessibility, relevance and authority. This edition uses British spelling, grammar and punctuation to allow the Bible to be read more naturally. All the time these days there are new, different versions of the Bible coming out. There are new translations and paraphrase versions of the text that can cast new light and understanding on the Bible. Relatively speaking, the New International Version is an old version , coming up to it's 40th anniversary soon, it's also one of the best-selling translations because of it's recognised accuracy and more vernacular English than the very flowery King James version. For a number of years there have been versions of this translation along with the notes from the very respected Life Application brand from Tyndale House Publishers, and this is an excellent pairing. I have personally used the New King James translation with these notes for many years! This new Bible is the latest repackaging of the NIV / Life Application Study Notes from Hodder and Stoughton in the UK. This version comes with a premium cost with a Publishers Price of £39.99. This seems to me to be a little on the pricey side for what is basically a soft-backed Bible. I am not sure that I would pay that these days for a full leather covered Bible. Instead this has a soft tone cover with an imprint on it. I was sent the red version which features leaves and flowers which suggests that this version, at least, is aimed at a female audience. Now this has sat in my book review pile for a couple of months, it's been occasionally shifted and it already looks a little battered. A Bible like this would ideally be used daily, and there is no way that this cover is going to stand up to much daily use, plus weekly (at least) travels to church. For me while this contains excellent translation and hugely useful notes I think it is over-priced and under protected. When you can download a Bible, take it everywhere you go and get access to loads of notes and devotionals for free, I am not sure who would feel comfortable paying such a high price for a physical copy of the Bible unless it was a gift or a presentation Bible.